Amman – Mr Amrani expressed the Union’s appreciation for the continuous support of Jordan to the UfM; he also presented the projects that have been recently adopted by the 43 Member States of the UfM, as well as the work being developed by the Secretariat to date. 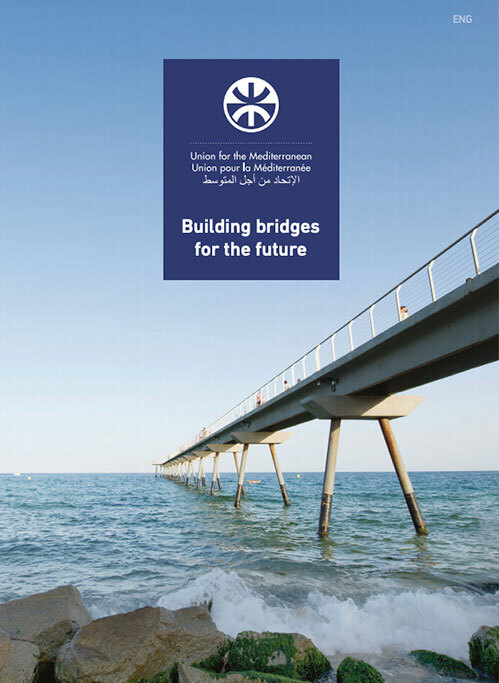 His Majesty King Abdullah II reiterated his support to the task developed by the UfM and insisted on the important role that the UfM can play in the new regional context, moulding its actions to this new geostrategic and political context with a final aim of creating a Euro Mediterranean area of peace, stability and shared prosperity. At the World Economic Forum Special Meeting on Economic Growth and Job Creation Summit of the World Economic Forum, Youssef Amrani participated in the special meeting on “New Scenarios for the Mediterranean and North Africa”. During his intervention on the new challenges and opportunities created during the “Arab spring”, Mr. Youssef Amrani stated that “in the actual context, several international and regional actors are reviewing their strategies and policies towards the region. This new context has created new opportunities and has placed the Mediterranean at the core of the international agenda. We have a new opportunity to build a new regional governance in the Mediterranean, to coordinate the strategy of the international community towards the region, start implementing reforms to obtain results and reach more efficiency, especially in the socioeconomic field, and re-establish confidence among international investors, help creating a new dynamism in the region involving all society members, especially youth, women and civil society”. Furthermore, the Secretary General stated that “in a region with more than 100 million young people between 19 and 29 years old, a great number of them being frequent Internet users, the “power of youth” and the “power of the information society” remains a reality that “needs to be addressed”. In order to achieve those objectives, obtaining a better coordination and greater efficiency and to respond more rapidly to the urgency of the social and economic needs of Mediterranean citizens, Mr. Amrani pointed out that “we will need to adopt a correct response, mainly through the promotion of south-south regional integration, which should apply the principle of variable geometry, along with the interconnected energy and transport networks and the big strategic projects”. Finally, he added, “it will also be fundamental to give a quick and adequate answer to the “people to people” exchanges, focusing mainly on the creation of a common space in the cultural and scientific fields and with the creation of business opportunities”. Mr Amrani has also stressed on the fact that “the southern Mediterranean countries are not only in need of more financial support, but they are also in great need of harmonising their business laws and the protection of investments, simplifying the administrative procedures and fighting more efficiently against corruption”. In this particular context, “the priority shall be established in quickly restoring investment confidence and to associate all actors of society, young and women, and the nongovernmental actors to take fully profit of the existing potential in the southern Mediterranean countries”. Finally, he added, “the priority shall specially be given to the ways of promoting job creation, especially in those areas with fewer resources available”. Regarding the role of the UfM in this new context, Mr Amrani stated that “the UfM should more than ever play a key role in the identification, promotion and concretisation of regional, sub-regional and transnational initiatives, with a global aim of contributing to the socioeconomic development and regional integration. 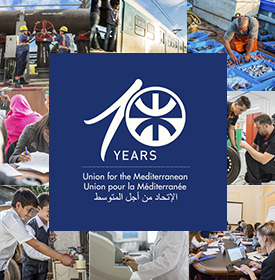 Today, the UfM is in the position of giving an added value, promoting a determined policy of mobilisation and collective solidarity. This institution, gathering 43 States and 800 million citizens, represents one of the biggest regional platforms in the world and its main objective is to give an answer to the needs of Mediterranean citizens, through clear objectives and efficient instruments, particularly supporting job creation, local development, the integration of women in the business world, education and research”.